The Race to the Mound/Rally for Ryan 5k run /walk was a huge success. Over 500 racers attended the event with over 100 spectators and volunteers who joined in the fun of the day. There was live music, food, and an infectious energy that filled the Town of Newburgh Little League Complex, event space that was chosen to acknowledge NFA Senior Ryan Danyluk’s history with baseball. Walkers and runners rushed over the pitcher’s mound and raced to home plate to cross the finish line. The event was in honor of Ryan Danyluk, a senior at Newburgh Free Academy and Pitcher on the Varsity Baseball team was recently diagnosed with Stage 4 Hodgkin’s lymphoma, the most advanced form of lymphoma. This event raised money for the Danyluk family to offset medical expenses. The support received by the community at large was overwhelming. During the event, NFA Assistant Principal Mr. Mike Ragusa completed a “Push for a Cause” fundraiser. He completed push-ups for one hour and broke his record finishing an hour with 1,700 push-ups. Individuals were able to sponsor him per push up or provide a donation for the cause Mr. Ragusa’s “Push for a Cause” raised $3000. 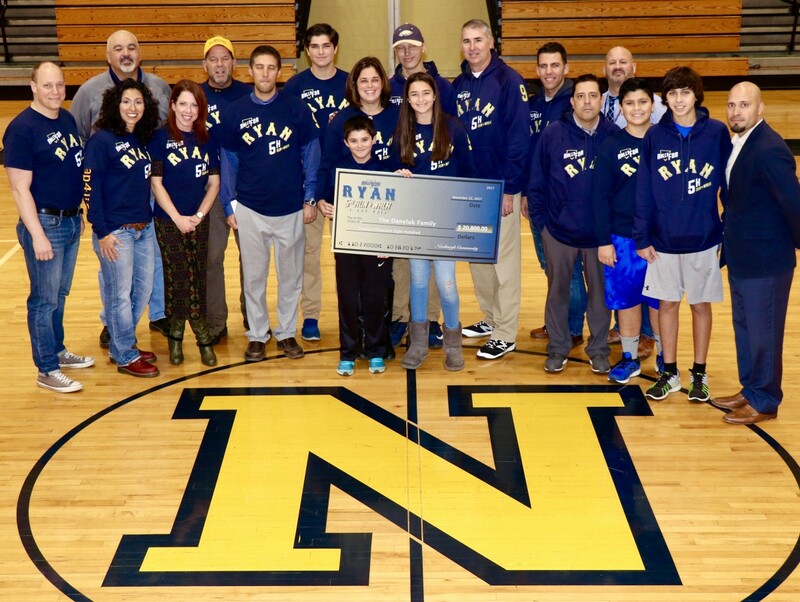 Including Mr. Ragusa’s “Push for a Cause”, The Race to the Mound raised a total of $20,800.00 which was donated to the Danyluk family on November 22, 2017 at NFA with the race committee, Mr. Ragusa and Dr. Padilla, Superintendent of Newburgh Schools present.